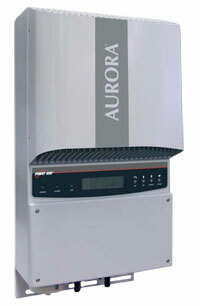 How often are you checking the output of your Solar PV inverter? How long would it take you to notice if there was a problem with your Solar PV array? It seems the inverter is checked frequently for a while by many householders, soon after the Solar PV is installed. Unfortunately this frequency can drop off dramatically, in the months to come. If this is the case, you may only find out about an issue with your Solar PV, only when the next electricity bill arrives. By then of course, it's too late! Your bill will be showing you an increase in the imported power and a decrease in the exported. Costing you big dollars! So what is the solution, for making sure you can keep an eye on the output and efficiency of your solar system? The easy answer is to install a home energy monitor. A HOME ELECTRICITY MONITOR easily allows you to see the output of your Solar PV at all times. You will further be able to educate yourself, about your home's electricity usage under the roof. This knowledge assisting you in minimising any waste under the roof, in effect financially making your Solar PV more efficient. You will learn more about when you are making the most energy and financial gain from your Solar PV. Importantly where there is an issue with your system's function, you will be notified at once, by a drop in your kWh's exported or financial gain. Sounds all too easy, but this simple solution is often missed! Costing many Aussie homes big dollars. Do you want to find out about an issue with the output of your solar system, in three months time? Update March 2014 - Due to a increasing number of householders not being aware of solar inverter malfunctions, we now have easy online electricity and solar monitoring solutions. To learn more about the monitoring and analysis of your electricity usage and solar pv system's output, visit our ONLINE ELECTRICITY MONITORING page, where we make the task of getting your data online, very easy.